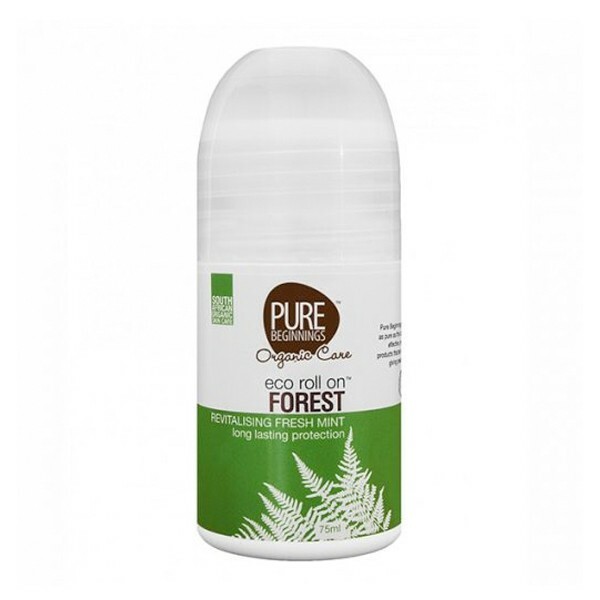 Eco Roll On – Forest (75ml). Minty freshness and long-lasting protection, brought to you by Pure Beginnings. This freshly scented, ‘nasty’ free, deodorant that targets the bacteria that cause odorous sweat. Pure Beginnings’ Eco roll-on has a delicate and fresh minty scent. Free of parabens, petrochemicals, sulphates and aluminium, it targets body odour causing microbes through the use of Sodium Bicarbonate, which is a natural antimicrobial. This product is certified Vegan and is Cruelty-free.